Preheat kitchen appliance to 350. Add butter, sugar, and flour to an outsized bowl and use a fork or party cutter to bring ingredients along into pea sized crumbs. Press equally into foil lined and lubricated 9x13" pan. Sprinkle chocolate, cranberries, coconut, and pecans equally over crust. Pour milk over toppings and bake eighteen minutes. Best if keep coated within the white goods. 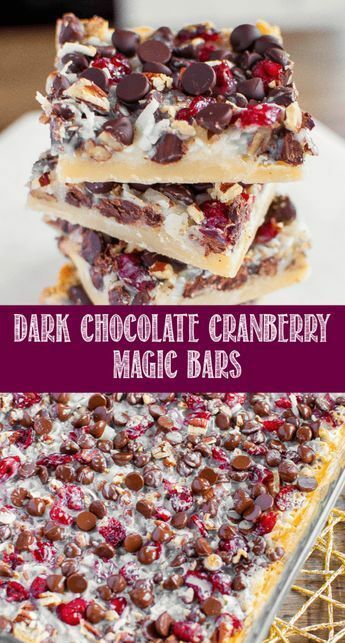 0 Response to "Dark Chocolate Cranberry Magic Bars"